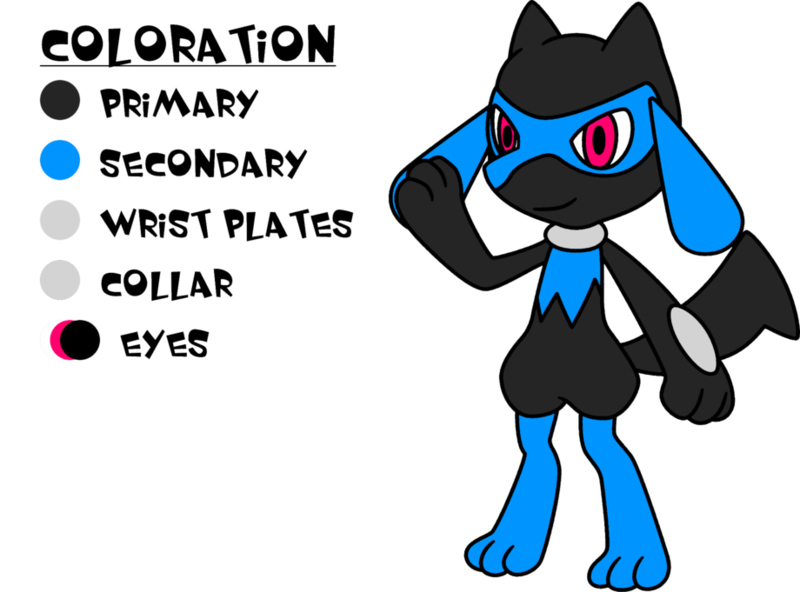 A Shiny Riolu, but mistaken as a Shadow Riolu because of her inverted black and blue coloration. She's become the shy type to help her avoid others and their teasing. Aurora is the shy type from being teased because of her coloration. But she is still friendly. She tends to question her own existence at times. Aurora and her twin brother, Nightshade, are constantly teased. Her inverted black and blue coloration often makes others mistake this Shiny Riolu as a Shadow Riolu. And so others are often fearful and hateful of her. Aurora was separated from her twin brother. Inverted black and blue fur with a silver collar. She has maroon(?) eyes. Aurora is one of a pair of twins. Aurora is a Shiny Pokemon. But her coloration makes him appear to be a Shadow Pokemon. Other Pokemon fear Aurora. And if they aren't afraid of her, they are usually hateful. And all because she's mistaken for a Shadow Pokemon. The hate she receives made her shy towards others. His twin brother, Nightshade, is also a Shiny mistaken as a Shadow Pokemon, like herself. However, unlike herself, Nightshade's personality went in a different direction. Instead of becoming the shy type, Nightshade toughened himself up.